Draft: 1994, St. Louis Cardinals, 19th rd. August 27, 2013 Miami Marlins activated 3B Placido Polanco from the 7-day disabled list. August 19, 2013 Miami Marlins placed 3B Placido Polanco on the 7-day disabled list retroactive to August 17, 2013. Concussion. December 20, 2012 Miami Marlins signed free agent 3B Placido Polanco. 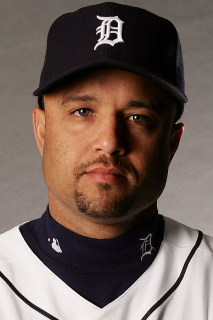 November 3, 2012 3B Placido Polanco elected free agency. October 5, 2012 Philadelphia Phillies activated 3B Placido Polanco from the 15-day disabled list. September 7, 2012 Philadelphia Phillies placed 3B Placido Polanco on the 15-day disabled list retroactive to September 5, 2012. Lower back inflammation. August 20, 2012 Philadelphia Phillies activated 3B Placido Polanco from the 15-day disabled list. August 16, 2012 sent 3B Placido Polanco on a rehab assignment to Clearwater Threshers. July 26, 2012 Philadelphia Phillies placed 3B Placido Polanco on the 15-day disabled list retroactive to July 23, 2012. Lower back inflammation. August 22, 2011 Philadelphia Phillies activated 3B Placido Polanco from the 15-day disabled list. July 30, 2011 Philadelphia Phillies activated 3B Placido Polanco from the 15-day disabled list. July 28, 2011 sent 3B Placido Polanco on a rehab assignment to Lehigh Valley IronPigs. July 15, 2011 Philadelphia Phillies placed 3B Placido Polanco on the 15-day disabled list retroactive to July 5, 2011. Lower back inflammation. July 17, 2010 Philadelphia Phillies activated 3B Placido Polanco from the 15-day disabled list. July 16, 2010 Clearwater Threshers sent 3B Placido Polanco on a rehab assignment to GCL Phillies. July 15, 2010 3B Placido Polanco assigned to Clearwater Threshers. December 3, 2009 Philadelphia Phillies signed free agent 3B Placido Polanco. November 5, 2009 2B Placido Polanco elected free agency. October 16, 2009 2B Placido Polanco assigned to Gigantes del Cibao.